Welcome to Business and Money Mentors. 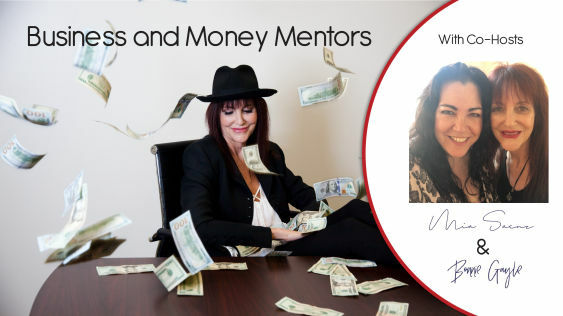 Together, Mia, your business mentor and Bonnie, Ms. Money Boss, guide you on the need-to-knows to grow and manage your business successfully. How to setup, implement, and manage the money in your business successfully for increased growth, increased benefits from your business spending, saving money on taxes and keeping more of the money you make. Bonnie Gayle, Founded Financial Intelligence for Entrepreneurs Bonnie’s Books Inc. and Co-Founded Business and Finance Mentoring. Over the past 28 years Bonnie has been an acting CFO, business manager, educating entrepreneurs and guiding business owners on running profitable, thriving businesses that pay them well. Bonnie has also restructured nine businesses that were on the verge of bankruptcy. Instead of going bankrupt, Bonnie worked hands-on with the business owner, managing and guiding the businesses - turning them profitable and debt-free within six months to twelve months. Mia Saenz, the Co-Founder of Business and Finance Mentoring Group. 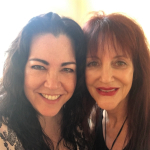 Mia founded Mia Saenz Enterprises in 2009, which is a Company with four divisions providing education in Spirituality, Business and Feminine Holistic Wellness, and Production & Publishing. Over the past 30 years Mia has built 15 of her own businesses, while supporting others since 2012 to increase their exposure and income. Mia has developed a program teaching business owners how to build a strong platform, marketing, brand, client base, programs & courses, for both online and brick & mortar business as well as product lines. Having a gift to see another create magic in their business and helping them to manifest that into reality is a gift very few understand.